In this 7th pAsuram – parAnkusa nAyaki meditates on emperumAn‘s characteristic of “aparAdha sahathvam” (tolerating mistakes) which is the highlight of this padhigam (decad) and speaks to her parrot “inform him that ‘Am I falling outside the limits of your aparAdha sahathvam?'”. Subsequently, parAnkusa nAyaki speaks to the parrot which she raised “you go and ask him ‘has she done any mistake that cannot be pardoned by your unlimited compassion?'”. Similar to nanjIyar‘s introduction. This pAsuram is the highlight of this padhigam (decad). Considering “Instead of seeing ones own mistakes, why is she asking me to take a stroll in her street” is emperumAn‘s view, parAnkusa nAyaki requests her parrot “you tell him ‘should you be seeing our mistakes only? should you instead not be seeing your aparAdha sahathvam?'”. enbu izhaikkum iLam kiLiyE – Oh parrot who is piercing my bones with your brimming youth and beauty! enbu = elumbu = bone. yAn vaLarththa nIyalaiyE – Were you not raised by me (as appropriate)? Oh parrot who is piercing my bones with your brimming youth and beauty! the freezing wind is piercing my bones like a string (in separation). To the emperumAn who is seeing my mistakes instead of seeing his own mistakes and mercifully not blessing me, you go and tell him “what mistake did parAnkusa nAyaki do that cannot be forgiven by you who is the master of pirAtti (srI mahAlakshmi who triggers his compassion) and who have compassion as your intrinsic nature”. Here vAy (mouth) refers to vArththai (word). “en pizhaiththAL” (what mistake did she do) indicates “did she try on her own to achieve you?”. In this the beautiful form and humility arising out of mutual/friendly exchanges with gataka (AchArya) are highlighted. parAnkusa nAyaki requests her parrot – You go and tell him “On top of my sufferings in separation, I am also tortured by the freezing wind. Instead of thinking his compassion, he is thinking about my mistakes and not blessing me . Even if I committed mistakes, can they not be dispelled by his compassion?”. Oh young parrot! You are piercing my bones by showing you beauty and by reciting his names. When you tell him this message, you tell this in front of srI mahAlakshmi – is her relationship not sufficient (to convince him to accept me)? Similar to piLLAn‘s vyAkyAnam. “yAn vaLarththa nIyalaiyE” (were you not raised by me?) – would the children torture their mother (who raised them)? enbu izhai kOppathu pOl – The body has become so thin that bones and nerves are visible. Also, Cool wind piercing the bone and sending a string through it – here parAnkusa nAyaki‘s body can be considered as bone and cool wind as a string. nampiLLai explains this using srI rAmAyaNam kishkinthA kANdam 1.105 where srI rAma says to lakshmaNa “padmasaugandhikavaham sivam sOkavinAsanam | dhanyA lakshmaNa sEvanthE pampOpavanamArutham ||” (Oh lakshmaNa! Those (couples) who receive the soft breeze which is bringing beautiful fragrance from various flowers in ponds, etc. from the woods near pampA river are fortunate – i.e., the separated ones are unfortunate and they can’t stand the soft breeze). nampiLLai says, for the separated ones, such mild breeze is like form of fire for the ones who are suffering in separation. Seeing the wife suffering in separation, is he gathering the (monkey) armies? building the bridge?, etc. en pizhaiyE ninainthu aruLi – thinking about my mistakes. Considering that my sufferings in separation are not enough, he is checking old balances (of my sins, etc). Instead of being avigyAthA (sahasranAmam – one who does not know any mistakes in his devotees), he is being sahasrAmsu: (sahasranAmam – having unbounded knowledge (in my mistakes)). aruLAtha thirumAlArkku – emperumAn (husband of srI mahAlakshmi) who is not blessing me. One can be upset where there is privileged relationship. nanjIyar explains this as – even when pirAtti (the one who said in srI rAmAyaNam 116.45 “na kaschinnAparAdhyathi” (there is no one who does not commit mistakes)) is nearby, he is not blessing me. Does he think that pirAtti will speak to him after that. piLLAn explains this as – emperumAn is enjoying with pirAtti and ignoring me. en pizhaiththAL thiruvadiyin thagavinukku – When you (beetle) ask him “why you are not blessing parAnkusa nAyaki?” and he thinks to say “instead of looking at her mistakes, should she be asking me to show compassion?”, you reply to him “What mistake she did that cannot be forgiven by your supremacy?”. If he thinks about punishing me for my mistakes, you remind him about his compassion. Can we ever commit mistakes that will overtake the compassion of our master? We commit mistakes within our capability and you forgive within your capability. thiruvadiyin thagavukku en pizhaiththAL – nampiLai explains this as “dhEvarIr krupaikku thaNNIrth thurumbAga EthEnum pradhakshiNa namaskArAdhigaL paNNiRRuNdO?” (Did I engage in upAyAntharams which emphasise on self-effort such as doing pradhakshiNam (circumambulation), nasakAram (obeisances), etc., that will be an insult to your krupai (mercy) which is the only protection for us?). thagavinukku – emperumAn is always benevolent towards others as explained in srI rAmAyaNam sundhara kANdam 40.41 “Anrusamsyam parOdharma:” – what mistake did she commit that will be affect such nature of emperumAn? nampiLLai quotes srI rAmAyaNam kishkinthA kANdam 33.40 “kim kOpamUlam manujEndhraputhra kasthE na santhishtathi vAngnidhEsE…” (Oh son of chakravarthy! what is the reason for your anger? who is not following the orders here?…) – thArA enquired lakshmaNa about the reason for his anger ignoring the fact that they let srI rAma and lakshmaNa suffer through the rainy season in the caves of the mountain – the reason she dared asking such questions was due to having faith in their benevolence (that they will forgive her). She calls him manujEndhraputhra (son of chakravarthy) to indicate that dhasaratha chakravarthy ruled 60000 years without punishing any one for their mistakes – being his son, she expects them to be merciful as well. She also indicates to him that it was them who killed vAli and asked them to enjoy freely after suffering for a long period – now they themselves cannot feel angry at the action of monkeys who do not understand sAsthram, etc. enbu izhaikkum iLam kiLiyE – the parrot that is youthful, humble, fresh, having red mouth and attracting the nAyaka (master) through these – such parrot is melting my bones (by such attraction). It can also be said as “en pizhaikkum” – what is wrong in informing my state to emperumAn? 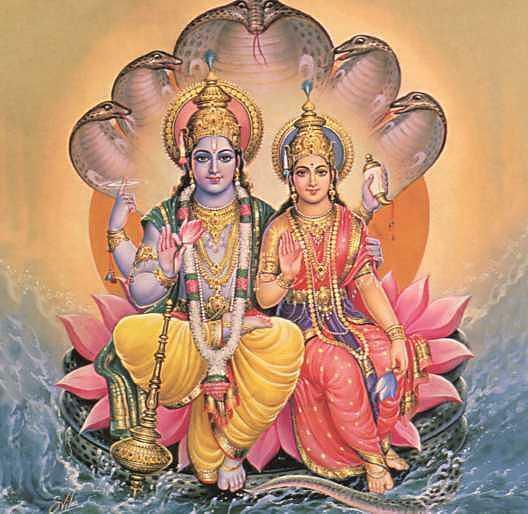 yAn vaLarththa nIyalaiyE – You are raised/nurtured by me (like my child) – would you also do the same that is done by sriya:pathi (husband of srI mahAlakhsmi) who was not-born to any one? Would my own offspring do the same thing that is done by those who mixed with me and left me in separation? Since I have raised you, you also would behave like me only – is there any fault in you? This entry was posted in thiruvAimozhi, thiruvAimozhi 1st centum on July 24, 2015 by Sarathy Thothathri.